The Sonshine Family appreciates all you do for your students and their families and is here to help you accomplish your curriculum objectives. There’s nothing like visiting the places the students are studying to help the curriculum come alive. We are committed to excellence in travel arrangements for your educational field trips. Our goal is to make your job easier by taking care of everything for you, so your trip will be educational and enjoyable. Every trip is custom designed, so call us with your curriculum objectives and we’ll work together to make things great for you. Here at Sonshine Educational Tours, we take pride in getting to know each of these great destinations intimately, so that we can help you and your group to have such a good time you’ll want to come back to travel with us again and again! We are able to do this because of the relationships that we have built up over time, and it is our pleasure to use this ability to serve groups of all types and sizes, so if you need more information or to receive a catalog, be sure to click here or above to contact us! Why are Field Trips Valuable? 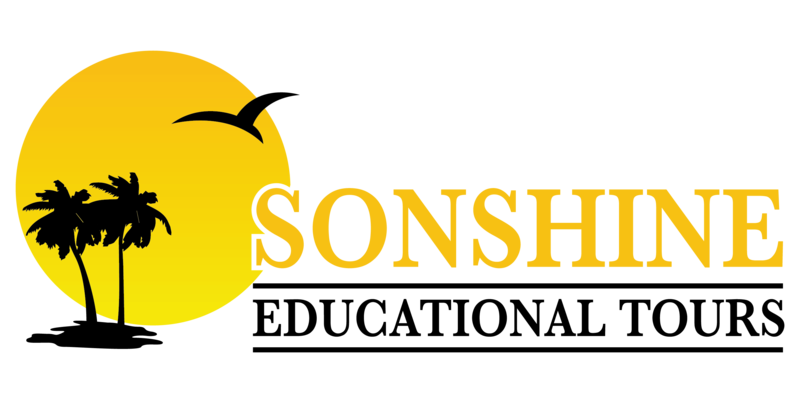 © 2018 Sonshine Educational Tours.